Reference Point RP2: Carls Tip: Messaging Users and Locations. 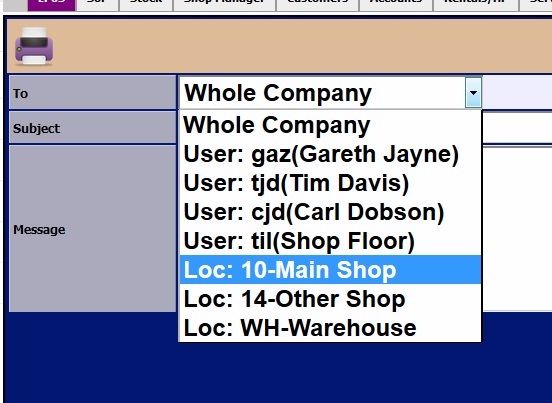 From the Point of Sale menu, you can create a message for the Whole company, a single user or all users in a location. Select Messages from the Point of sale menu, select New Message at the bottom of the screen. Select whether the message if for the whole company, a single user or for a location. Enter in a Subject, Message and Send.